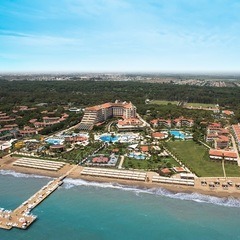 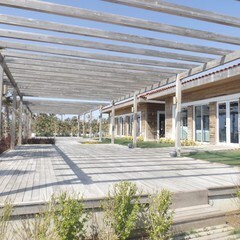 Weddings in Bellis Deluxe Hotel Bellis hotel, which is placed in Antalya, Belek region, wins recognition of guests with its natural environment, created by hotel’s fascinating green areas and a zoo inside the hotel territory . 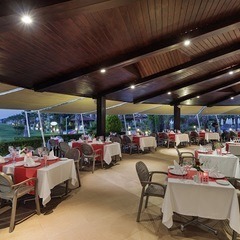 White horses, adorned for bride and groom, add special excitement to Indian weddings and Iranian wedings in Bellis Hotel. 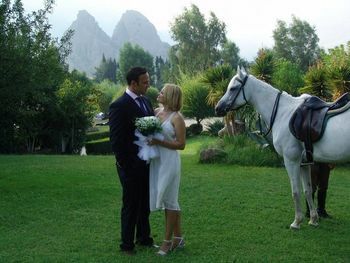 Wedding photos taken while bride & groom are going to wedding venue on horses always are most special photos of the wedding album. 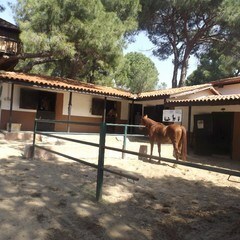 In special Horse Club within Bellis hotel they also have ponys and it is additional plus for families with children. 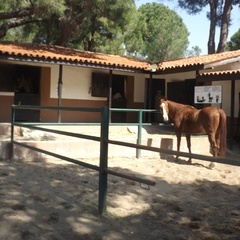 You can walk around zoo, which looks like a village, anytime during the day and you will also get a chance to feed animals there. 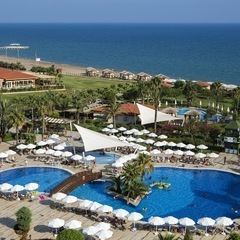 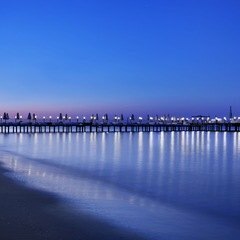 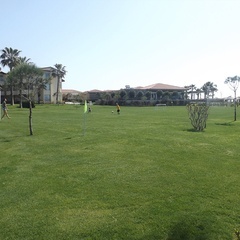 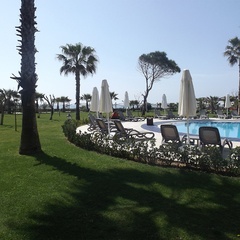 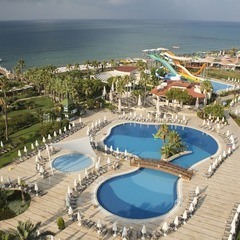 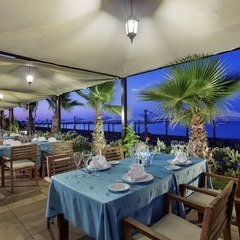 Excepting magnificent nature, Bellis Hotel can also provide gorgeous Blue Flag awarded beach. 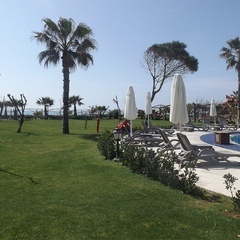 So you can also enjoy sun and sea in this hotel. 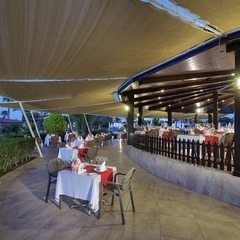 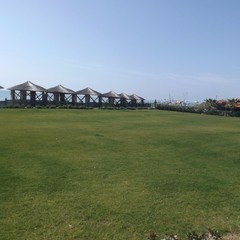 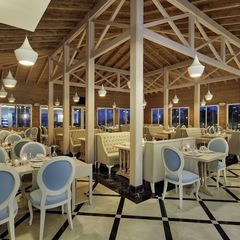 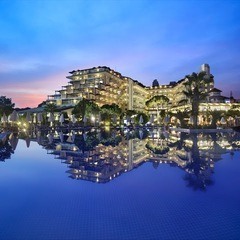 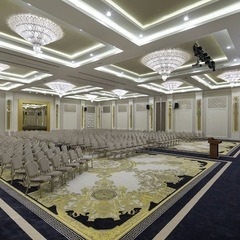 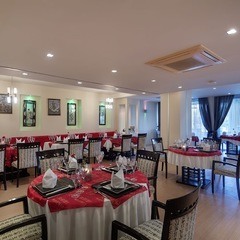 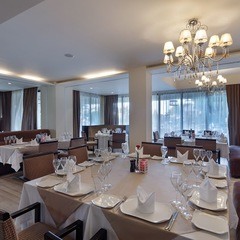 We host big wedding groups in seaside green garden or in perfectly designed ballroom of Bellis Deluxe. 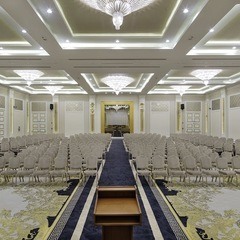 Entrust your wedding freams to us.